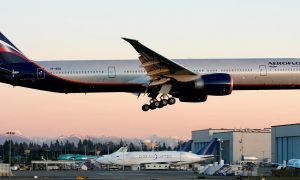 Aeroflot has begun operating flights to Magadan. 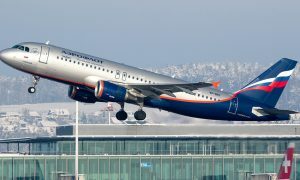 The first flight under the SU code departed Moscow for Magadan’s Sokol airport on 27 October with passenger including Magadan Region Governor Vladimir Pecheny, and the director of Aeroflot’s Far East branch, Irina Lapitskaya. 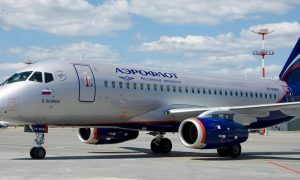 The opening of the route is in line with Aeroflot’s plans to develop Russia’s domestic flights. Regular flights to Magadan address the important issue of increasing personal mobility and transport access to the Far East. Magadan Region has significant potential for development and is one of several Russian regions rich in natural and biological resources. «For Kolyma, passenger flights are particularly important, as they are the only mode of transport linking our remote district with the central part of Russia and other regions of the Far East. We are grateful to Rosaviatsia and Aeroflot for solving this problem, which arose with Transaero’s exit from the market. I am confident that the status of these flights is now more stable,» said Vladimir Pecheny. Aeroflot’s Airbus A330s, which have 34 seats in business class and 268 in economy, will be used for these flights.